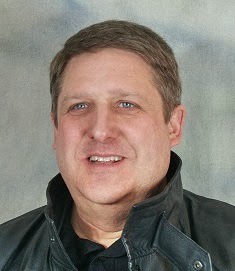 DAVID WILL BE AT THE WRITE HERE IN EPHRAIM CONFERENCE COMING UP THE END OF MARCH! CHECK THIS SITE FOR DETAILS! How has David used his singing voice to inspire others to read his books? How often does David get feedback on his manuscripts? Find out in our next author interview! I’m a husband, father, and grandpa. I’m an old B-52 pilot and a software engineer. I sing in the Mormon Tabernacle Choir. I love history, myth, and fable (and the interaction between the three). I’m fascinated with swords, axes, maces, spears, and other weapons and armor. I’m a storyteller. I love telling good stories. I’m one of those weird individuals who are happy to speak in LDS sacrament meeting or substitute-teach in Sunday School or Primary on a moment’s notice, as long as I get to tell a good tale. I've been writing short stories, songs, and poems since I was a child. Usually I will get an image or a scene that gets stuck in my head and it won’t let me go until I shape it into a full narrative. My first novel, “The Unwilling”, started out that way: an image in my head that would not go away. It haunted me, kept me awake at night. 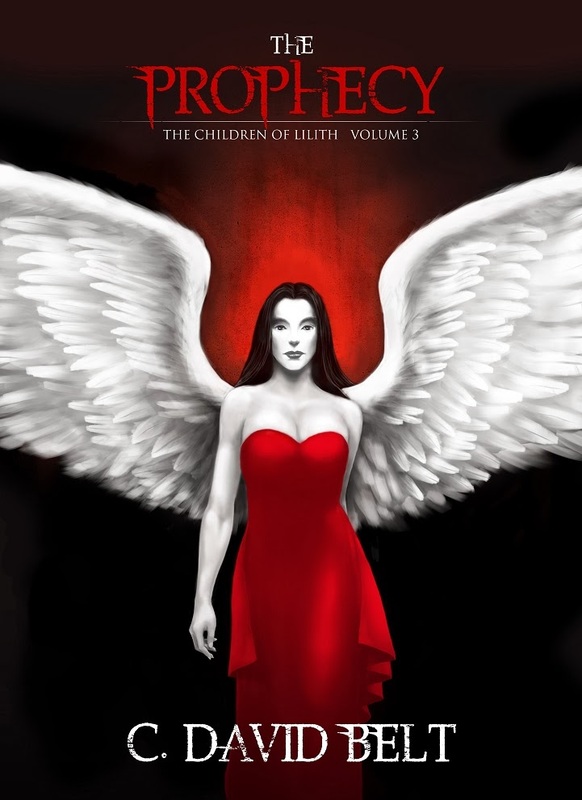 It was a huge relief when I finished the final volume of “The Children of Lilith”, because the story was finally told. I write anywhere and anytime I have a free moment and I have access to my laptop. I also have a Kindle Fire with a Bluetooth keyboard that I take to places where my laptop is inappropriate (like the Tabernacle Choir loft). It’s cramped, and the keyboard is tiny, but at least I can keep going on the story. Barring that, I might write some notes down freehand, but I write through my fingers on a keyboard. The story only flows when I can type. My favorite part is when one of my characters speaks up in my head and says, “That’s nae what I’d say, laddie. This is what I’d say…” (OK, maybe he or she doesn't have a Scottish brogue, but Moira did in “The Unwilling”.) That was when I know the character has truly come to life for me. Your least favorite part about writing? Fight scenes. There is a great deal of deliberate mechanics involved in narrating a realistic fight scene. It’s slow and doesn't flow easily for me. I’d much rather write dialogue. Most of my characters are based on real people that I have met or composites of real people I know. Some of them come from my own experiences and thoughts. I personally don’t enjoy reading stories with characters that don’t feel authentic, so I strive to write my characters as if I know them personally, as if I could actually sit down and have a conversation (or an argument) with them. In my head, they become friends, or at least, someone I would like to understand. 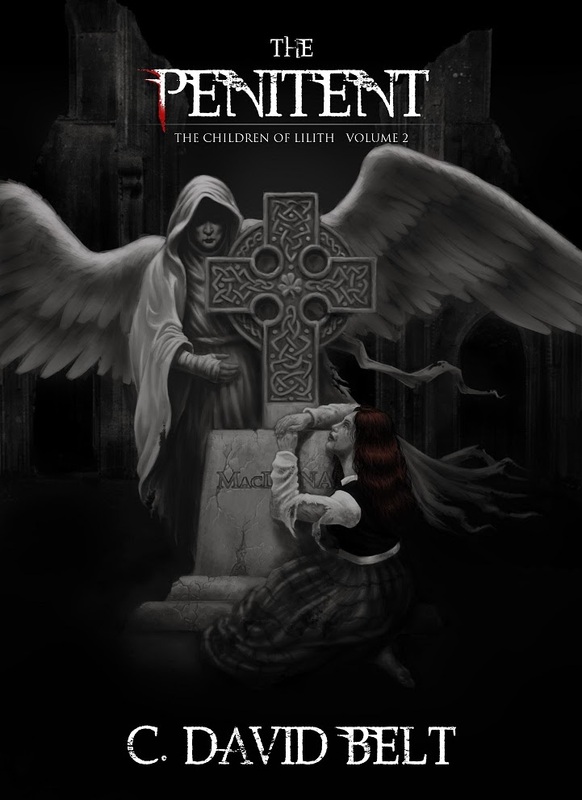 One of my favorite characters in “The Penitent” is a bitter and prickly woman, a repentant vampire who is nearly a thousand years old and hates men (with good reason). I loved getting into her head, trying to understand what drives her, what makes her the way she is. I wanted her to be sympathetic, even if she is a bit of a pill. In short, I wanted the reader to fall in love with her, the way I did, in spite of her flaws—or because of them. A significant number of my characters (antagonists) are very dark and evil people. My current work-in-progress starts off in a prison populated by murderers and rapists—the worst of the worst. I haven’t personally met a lot of actual murderers and rapists, but I have met some. I have known a few. I don’t believe that people are born evil. Most people who commit unconscionable acts are otherwise normal people who become obsessed with something they cannot have. They keep returning to an improper thought or desire until they finally act on it. Then they've crossed a threshold and it changes everything. I want you to understand them on some level, even if you don’t empathize with them. I want you to be able recognize in them your next door neighbor, or the creepy guy at work, or the affable and likable young man at church, or some dark tendency in your own soul. They have to feel real. How do you schedule your writing time? When do you write? Typically, I start writing when everyone else goes to bed, from 11 PM to 2 AM. I also write anywhere and everywhere when I have a free minute (and my laptop or Kindle). I used to do a lot of writing on Sundays, but I stopped writing novels on Sunday when I started making money at it. Now I only write blog posts and gospel-related non-fiction on Sundays. And it’s driving me crazy!!!! 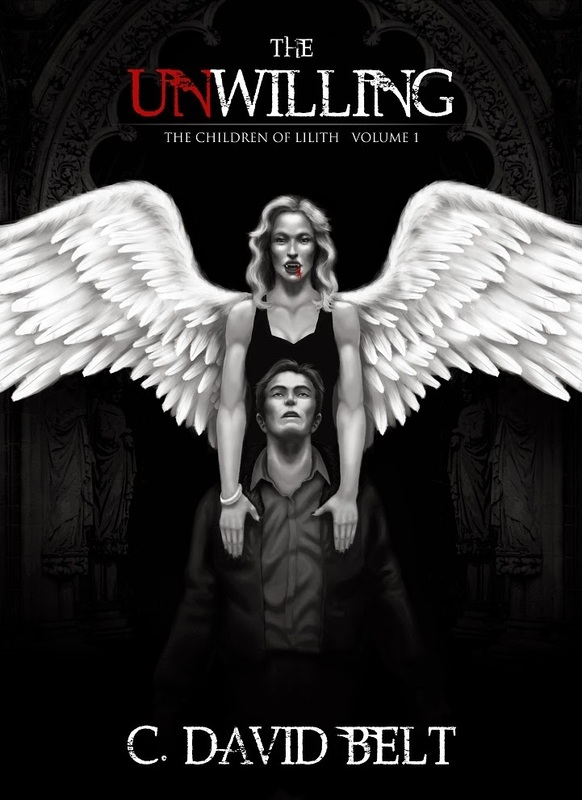 Last question first: “The Prophecy” (the final volume of “The Children of Lilith”) comes out in paperback and hardcover this spring. (It’s already out in eBook form for those who can’t wait to get the finale.) I’m currently working on a standalone science fiction novel with LDS themes and a main character who is LDS. “Time’s Plague” borrows themes for Shakespeare’s “King Lear” and is set roughly a century and a half in the future. It starts out on a penal colony on Callisto (one of the moons of Jupiter). The story centers on Edgar, an innocent man, who has been sentenced for life (there can be no parole and no escape from the Hades Penal Colony) for a murder he did not commit. He was framed by his ex-wife, his best friend/business partner, and the cargo-master on the interplanetary freighter that he captained. The prison has no warden and is ruled by the prisoners, all of whom are male. The only non-prisoner is an android doctor who resides in the infirmary, separated from the prison by a secure airlock. Hades is literally a hellish place populated by murderers and rapists—the worst of the worst. New prisoners and supplies are dropped from orbit and no ship ever lands on Callisto… that is, until a shuttle crash-lands. There is only one survivor—Edgar’s ex-wife, the one person in the universe he hates more than any other. No woman can survive on Callisto. Edgar has to figure out a way to get her off-world and protect her from the other inmates. And he wants to know WHY she conspired to condemn him to hell. I have two. I've just finished the first draft of non-fiction book on “the whole amour of God”, using the Roman imagery that Paul and his audience would have been familiar with at the time. I still need to do a reference pass to provide sources for the information I present. The second project is not so much on the back-burner as it is still in the research stage. (I won’t start writing until “Time’s Plague” is finished.) The working title is “The Sweet Sister”. It’s a modern day thriller with both sci-fi and LDS twists. Get critiques and feedback early and often. And if the feedback is negative, then rewrite, reshape, or start over. As authors, we’re too close to our own work to see the flaws sometimes. So get feedback as soon as you can. Don’t wait until you have a finished masterpiece. I get feedback after each chapter. Unless you happen to be Mozart, not every stroke of your pen will be genius. (And if you do happen to be Mozart, you’re dead—at least in this space-time continuum.) Even some of Shakespeare’s work is utter crap. (“Titus Andronicus”, anyone?) Practice, practice, practice, and develop and shape your craft. However, whatever you do, tell the story YOU want to tell, even if you think nobody else wants to read it. Don’t cheat. If it doesn't feel right, don’t force it. And listen to your characters. They know who they are, better than you do. In other words, listen to and obey the voices in your head!!! Write Here In Ephraim Conference: Begins Today! Have You Lost Your Get Up and Go?